Getting married is a once-in-a-lifetime event. When planning it, shouldn't you accept only the best? Many couples spend a great deal of time and money planning for everything except one of the most important things - the DJ. This is the one detail you don't want to flub for an event as big as this. The DJ at your wedding is the person who runs the entire reception. He/she should meet with the bride and groom, and discuss the entire procedure of the wedding in great detail, being very receptive to their needs. 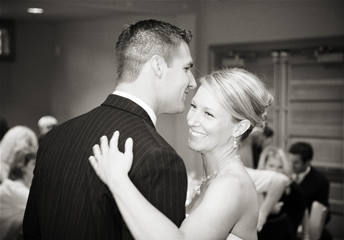 When the big day arrives, it is the DJ's job to coordinate with the caterers, the photographers, and the bridal party throughout the reception. 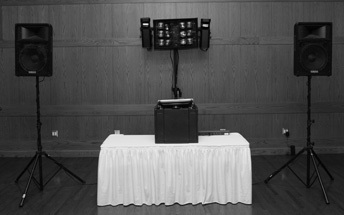 Your DJ will make the announcements, host the formalities, and make sure the lighting is right where it needs to be. These are just a few of the many details involved in planning a wedding. The person responsible for these details should be someone you trust - someone who has done many weddings in the past, but carries the knowledge that every wedding is unique. Our DJs are patient, wise, and knowledgeable. It is never about throwing in some music, and just letting it ride. We take great pride in the work we do, and have an incredible time doing it. Don't settle for anything less than the best.